As Marists, we think, judge, feel and act in the way of Mary. Humility: Do nothing from selfishness or conceit, but in humility count others better than yourselves 2 Phillippians 2:3. Our students have identified what each of our values look like, feel like and sound like to bring life to each value as you see in the above visuals. 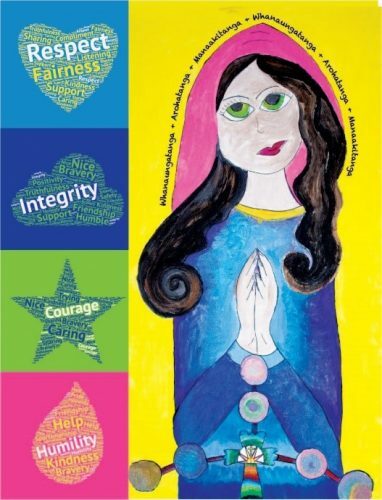 Our latest Catholic Special Character External Review was undertaken in late August of 2018 with the report released in September. We are so proud of the review – see below for some snippets, and beneath these, the full report is available.